Poynt HQ lets you manage your business where and when you like. View reports, real-time statistics, or setup a new user all via mobile, web, or on your terminal. Mission Control gives you all of the tools you need to ensure your merchants are successful on Poynt from day one. 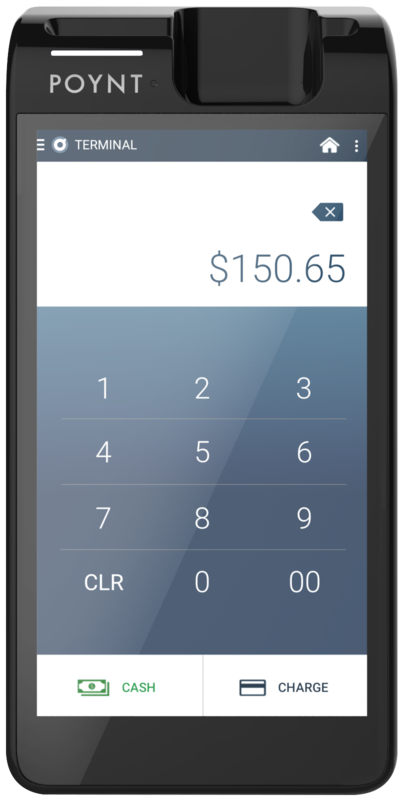 Poynt’s POS solution is built to let you organize and optimize your customer payment flows seamlessly. Terminal app lets you process transactions with Poynt out of the box. It’s simple, functional, and reliable. We make running your business a breeze with built-in apps on your terminal that help you do everything from managing time sheets to inventory. Employees can clock in and out of their shifts; merchants can manage employee schedules and timecards all on the Poynt Smart Terminal.